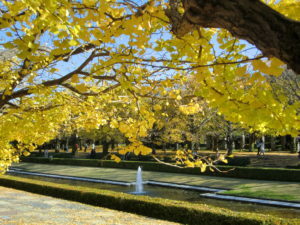 Let’s enjoy autumn leaves @Showa Kinen Park in Tokyo | Why don't you go on a trip to Japan? Winter is coming soon in Japan. How about in your country or region? 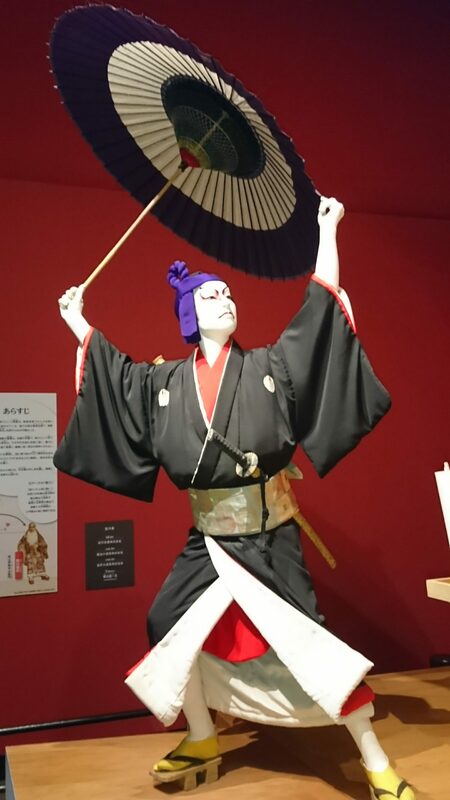 On the other side of Japan, the southern hemisphere, it is a summer season, isn’t it? 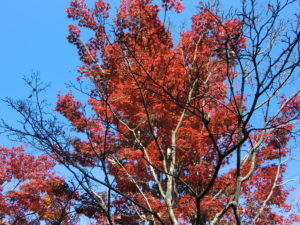 One of fun events in Japanese autumn season is foliage-viewing. 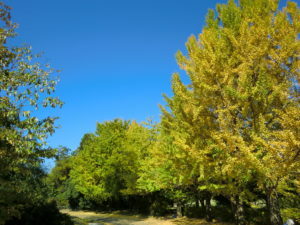 Since Japanese Archipelago stretches 3,000 kilometers from north to south, autumn leaves front has time zones depending on the area, which is the same as cherry blossoms. 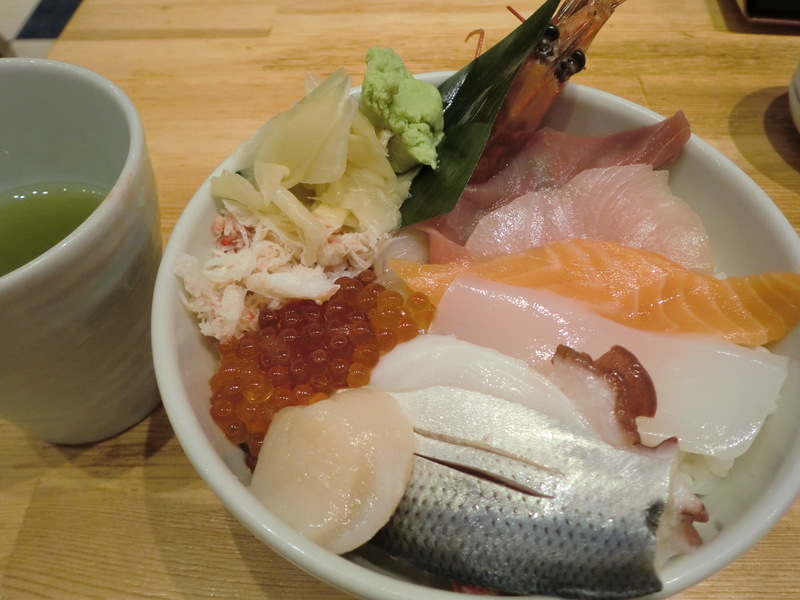 Hokkaido can be enjoyed from late September, and Kanto region is relatively late, Tokyo can be enjoyed from mid-November to early December, although there is a difference every year. I am going to enjoy foliage-viewing somewhere every year. 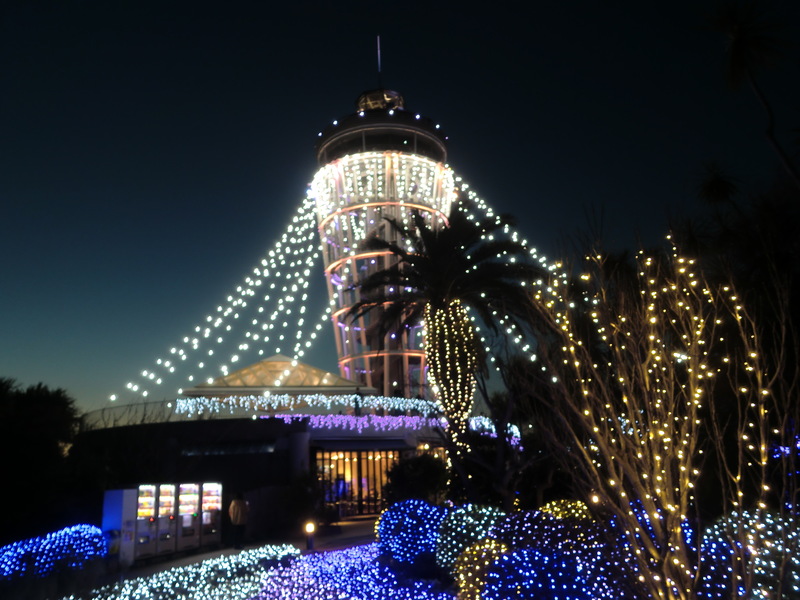 I went to Showa Kinen Park in Tokyo this week. 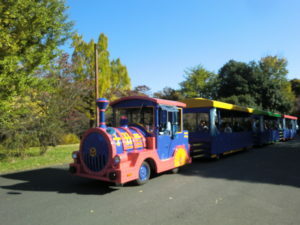 This park, which has a large land area of over 160 ha, used to be the site of the US military Tachikawa base. 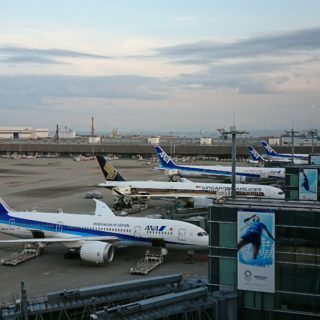 Although it was used as the Japan Tachikawa Army airfield early in the Showa era, it was taken over by the US military after the World war 2. 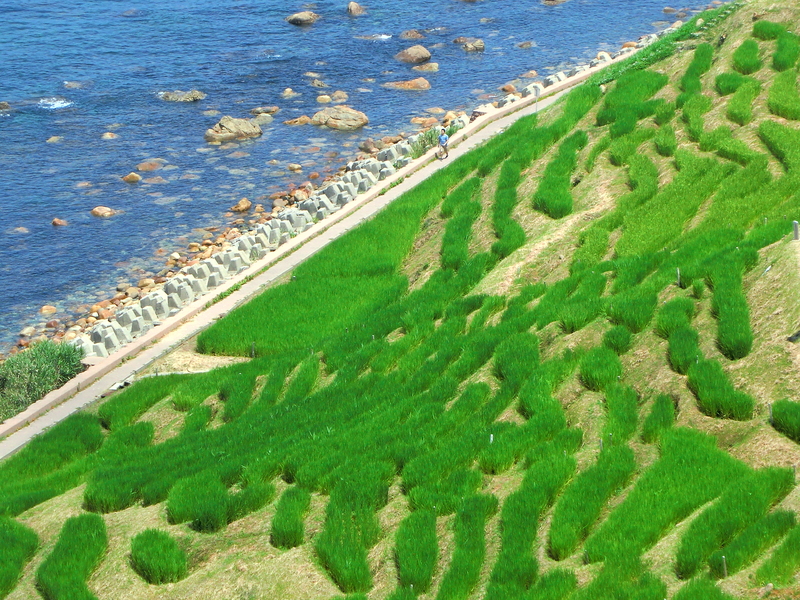 After being returned, it was replaced as a park under the Showa Emperor. 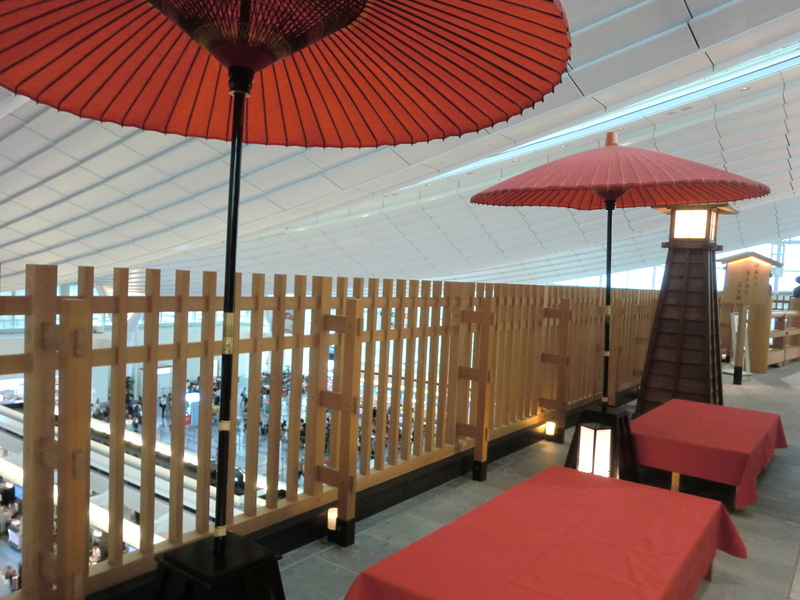 It takes 30 minutes from Shinjuku Station to Tachikawa Sta. by the Chuo Line. 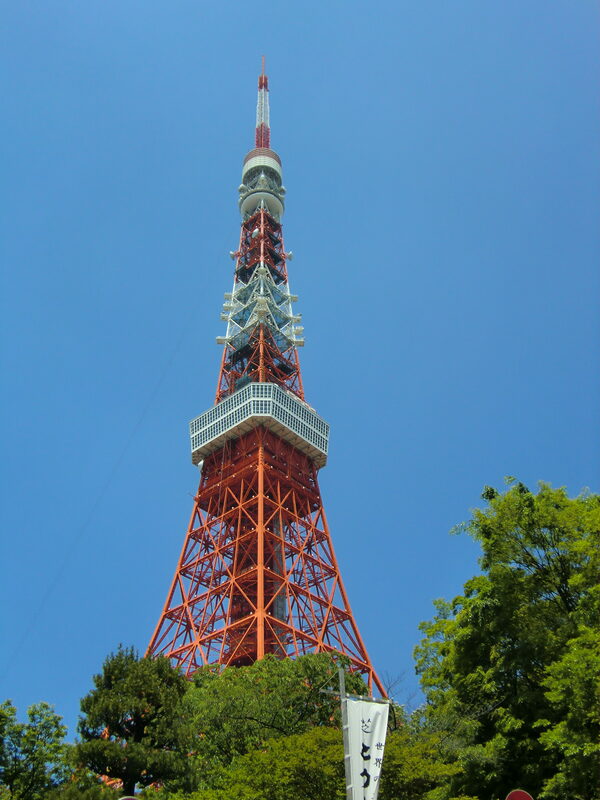 15 minutes to get the park entrance; Tachikawa gate on foot. 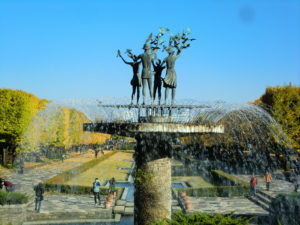 There are various facilities such as sports area, children’s forest, Japanese garden, lake, open field and like in the park. You can rent a bicycle at the entrance. It is 410 yen for three hours. 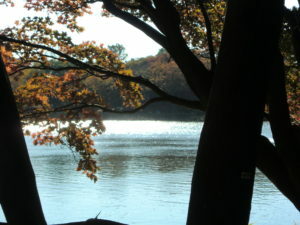 There were three main foliage spots in the park. 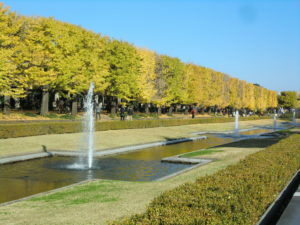 Canal ginkgo trees Avenue near Tachikawa gate, second one is ginkgo tree Avenue next to the sports area, and the third one is the Japanese garden. 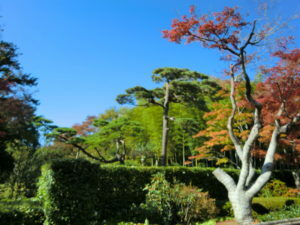 The Japanese garden can mainly appreciate red maple trees. The best view of the autumn leaves in Showa Kinen Park will be estimated from the beginning November to the end of November every year. It may be earlier in this year. 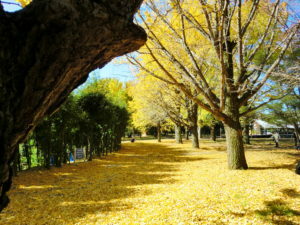 Especially the fallen leaves were beautiful with the ginkgo trees. It was like a yellow carpet. 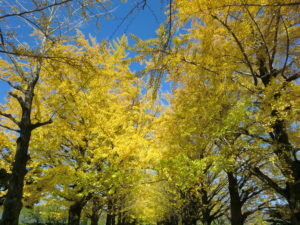 98 ginkgo trees line up on 300 meters avenue. It was all yellow color with both looking up and looking down and very beautiful. 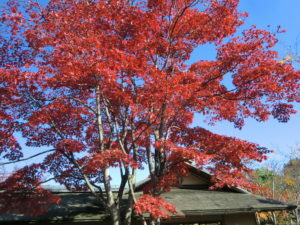 Entered the Japanese garden, the leaves turned red here, which is maple trees. 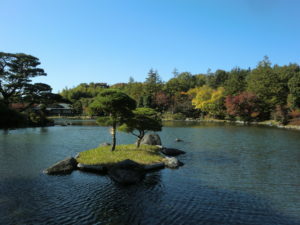 This is Chisen-kaiyu style garden, (a stroke style garden around a big pond), which make use of traditional skills and depict seasonal feelings. 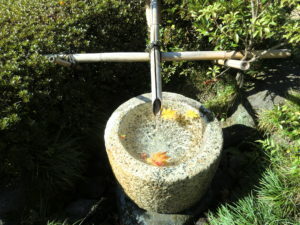 The pond is surrounded by natural scenery such as waterfall, stream, waterside, wooden bridge, and this garden style is widely found in the Daimyo garden in the Edo period. You can see spectacular cherry blossoms in spring. 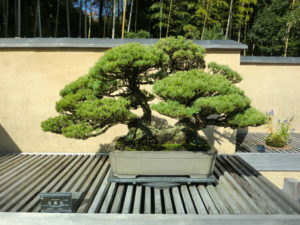 There is a bonsai exhibition in a corner of this garden. 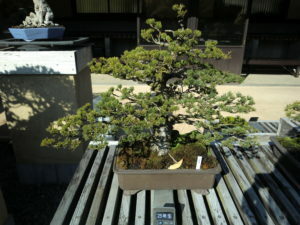 Today, many people know bonsai worldwide. 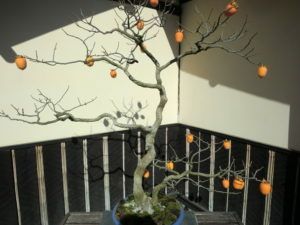 Here you can appreciate excellent bonsai on international exhibition level as an art work. I think both adults and children can be enjoyed at this park.